Thinking of building a new home on the same property you are currently living on? Or you just want to further turn your property into an amazing landscape? Either of the two can be swiftly dealt with demolition services in Melbourne. Yes that’s true, our team provides all the services you need to get your property managed. The demolition is not a very straightforward act. It requires planning and a certain level of skill. With the right amount of mathematics and hard work, we can get your desired work done along with our professional suggestions as well. Here are a few advantages of getting demolition services through a reliable source. The professionals your local demolition group know exactly what they’re doing. And this also includes that they’re complying to the regulations set by authorities. The expertise and the skill set is something that further adds up to the bonus. Knowing the law is necessary because at times your property might have such materials or different plants which when demolished with the property could disturb not just the environment, but the authorities as well. The demolition service is a registered company that complies with the ISO standards and does not risk anything. Safety is our utmost priority and we have no ulterior motive to put the safety of anything at risk. 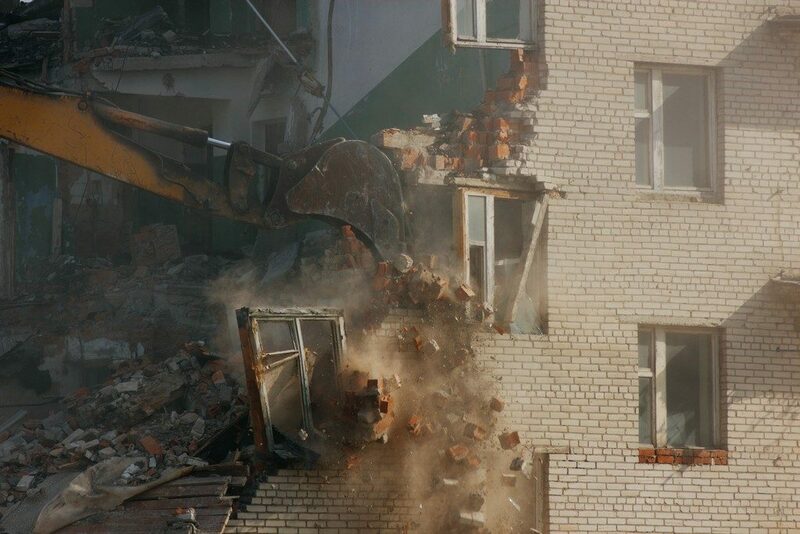 The level of injuries is also reduced by going through proper demolition companies. This way you won’t need to worry about the risks and safety of the property. We have got it all covered. You can just sit back and relax while we do your work. There’s surely a difference in getting your work done through a rookie and or getting it done through us. Our highly skilled staff comes up with more effective and a much better approach towards going about the destruction. Experience is what sets us apart from the rest. We don’t just say things, we actually mean it. We make sure we stay within the boundary of the property and not cause any damage to the outside property. Our professionals take the exact measurements and strictly abide by those to keep the work clean and not cause any further problems. Getting this done from your local help might come up to be much more costly if something from outside the boundary is damaged. Whatever is it that you want done, we will surely do it. Our processes are definitely more time effective since we have the experience and we exactly know what our limitations are. With the unpredictable better, it is always better to have your structure demolished well within time so that further projects can take place. Professional commercial demolition contractors Melbourne are not very costly if you keep the opportunity cost in mind. Imagine what you might be losing by getting help from someone with no experience. The damages might get to a point of no return. So stop wasting your time and contact us now to get the best demolition services out there.